CloudCalc, Inc. invites you to use our free cloud-based structural analysis software, simply by registering (no charge, no credit card, no spam) at www.cloudcalc.com. Why are we inviting you to use this software at no charge? Because at CloudCalc we want to build a community of engineers who will help us develop the product road map by providing us their feedback and wish lists. Interested in experiencing engineering software in the cloud? Please log on and try the application for yourself at www.cloudcalc.com. 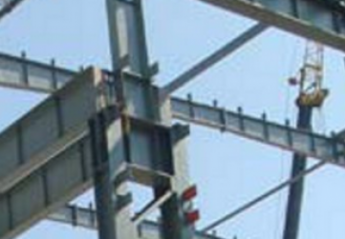 Or come visit us at NASCC 2015: The Steel Conference https://www.aisc.org/content.aspx?id=37922 March 25-27, 2015 in Nashville, TN, where we will be exhibiting. 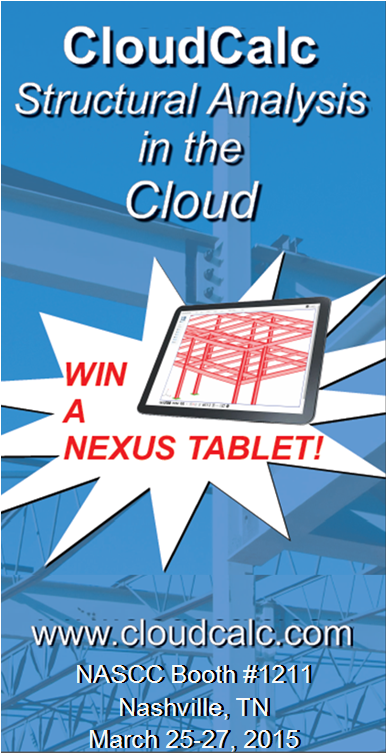 Stop by Booth #1211 to learn about CloudCalc, and for your chance to win a Nexus Tablet!